So what exactly is plagiarism? You probably know that it’s the act of taking someone else’s words without giving him or her credit. But it also extends to others’ ideas. A lot of college students mistake the act of plagiarizing solely as taking someone else’s words. But stealing someone’s original idea, whether you use different wording or not, is just as severe of an offense. You can even plagiarize yourself. In short, plagiarism is one of the worst offenses a person can make in his or her career—and it’s also easy to do, sometimes just by mistake. 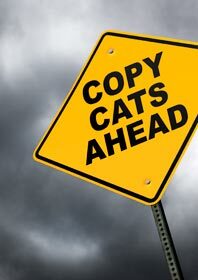 Many students, unfamiliar with what constitutes plagiarism, can be guilty of plagiarizing without realizing it. But mistake or not, when caught, the repercussions are the same. As a student (and throughout your professional life), it is imperative that you understand what constitutes as plagiarism and refrain from committing it. Not only can plagiarism affect your grades; it can cast a shadow on your reputation for the rest of your life. If charges are pressed, a plagiarizer can end up in court if even a fraction of a work is stolen. Many people, even students, have paid money out of their pockets to compensate for such an offense. Plagiarism is treated as a crime in the eyes of the professional world. Colleges take plagiarism extremely seriously as well, so never shrug off your professors’ warnings of checking your work for stolen passages. And they really are looking, using special computer programs to help them check students’ work quickly and accurately. Plagiarism even occurs at some of the top colleges in the United States. For example, Harvard University dismissed about 70 of its students in 2013, forcing them to leave the college. After suspicions of plagiarism arose, they proved that many students had copied each other’s work on an exam that was to be completed alone at home. Plagiarism does not have to be the stolen work of a published author; using other students’ work, or even your own work from past assignments for a new assignment, is also a violation. In the case of reusing your own work for another assignment, even if you add new material to it, you would still be committing self-plagiarism. In 2012, an Amherst College professor resigned from her position because she had plagiarized some of her past professional work. Although she was the one to admit the act, she still lost her career and hurt her reputation, earning a story on the Amherst website—and picked up across the Web—that exposed her name. Every college makes it clear that plagiarism is strictly prohibited. Take a look at your own college’s website and you may see an entire page dedicated to it. Williams College provides an entire webpage explaining what plagiarism is and how to avoid it. Johnson & Wales University not only explains plagiarism on its website but discusses its punishments, which can potentially include a permanent notation on the student’s record. The first step is to cite your sources well and widely. When paraphrasing the work of someone else, make sure to avoid repeating any of the author’s words or phrases that are not commonly used elsewhere. If there is a word or phrase that is hard to say in your own words, quote and cite the work. Also, pay attention to sentence structure, and try to avoid mimicking the same. There are two common formats used for citation known all around the world. When writing about English, literature, and foreign languages, most teachers prefer a format called MLA (Modern Language Association). Another common format is APA (American Psychological Association), often used for citing the social sciences, like psychology, economics, and sociology research. Such formats and their rules can be found online at http://owl.english.purdue.edu. When using either of these formats, your professors will require you to use in-text citations, which can occur throughout your essay and may include quotations, as well as a works cited page (MLA format) or references list (APA format). Both the works cited and the references list should appear as their own separate page at the end of your essay and provide detailed information about the sources you used. Of course, your papers can’t be a long series of quoted passages. You need to come to your own conclusions and back them up, and there are plenty of ways to get into the habit of forming your own ideas for your assignments. When considering a source and condensing what you’ve learned from it, you can best avoid plagiarism by reading the work, putting the book or article away for a moment, and then writing down what you remember off the top of your head. Then, go back to the author’s work and compare your facts, making sure the information you wrote down is accurate and complete. Remember you can also visit your school’s tutoring or writing center, or meet with a professor, for guidance in crafting your essays and hashing out your ideas. At the end of day, all you really need to do is commit yourself to producing high-quality, original work, and you should have no problem avoiding plagiarism. And if, as you’re putting together an essay, you feel uneasy about the way you’re using any information you found, trust your instincts, revisit your research, reevaluate your writing—and cite the bejesus out of it.